The Italian Tennis Collectors Association (Associazione Collezionisti Tennis – ACT) has recently published an interesting book that tells the story of Italian tennis balls. Many of the Pirelli images used on VintageTennisBalls.com are with the permission of the ACT’s President, Franco Alciati. Franco was kind enough to send me images and information that added great value to my mCat database of tennis containers. 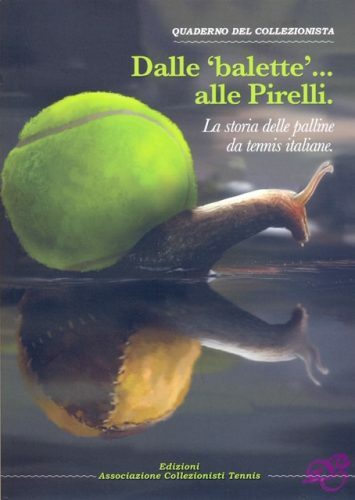 The book is written in Italian, but contains many important images of posters, balls, containers, advertisements, and history of Italian tennis. It would be a nice addition to any collectors library. Anyone interested in buying the book (25 euros plus postal charges) should contact the president ALCIATI Franco directly by email at the following address: alciatifranco@libero.it who will be happy to give all the details of purchase.